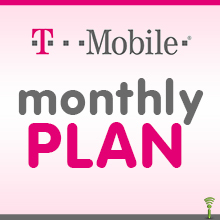 T-Mobile now offers Prepaid Monthly Unlimited Plans for unlimited talking and texting! To load your minutes, call *TOGO from your mobile phone or call 1-877-778-2106 from a landline. Follow the voice prompts. Please make sure that your prepaid account is set-up for Monthly Unlimited Rate Plan in order to apply this Unlimited PIN accordingly.